Spurred on by Medium’s already-gorgeous writing 5 Hottest Social Networking Sites Without Your Grandma 5 Hottest Social Networking Sites Without Your Grandma Is the social network market saturated? Isn't everyone already on Facebook, Twitter, Tumblr, Instagram, and LinkedIn? Not quite. Read More interface, Tumblr has just rolled out a clean post creation interface designed to inspire more longform content on the site. In essence, Tumblr What Is Tumblr? [MakeUseOf Explains] What Is Tumblr? 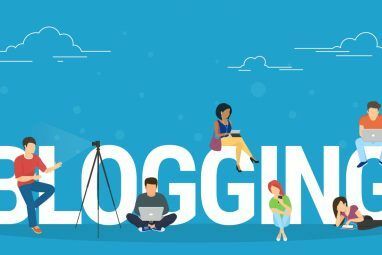 [MakeUseOf Explains] Tumblr can be a great community to express yourself and create a personalized feed of content that you love, so let's look a little deeper at what exactly it is. Read More has made it easy to add media wherever it suits you, and to see exactly what your post will look like when it goes live. Tumblr released a statement on the new updates recently, explaining the major points up front, but hinting that there was more to be found if you explore a little. As any blogger knows, readers like to see articles broken up into sections with subheadings and horizontal lines to keep things organised. Tumblr now lets you do all of this, with some other gimmicky text tools too. Tumblr’s new embedding tool is as simple as can be. On any given line, you can click the ? sign at the start of the line in order to see the embedding tools available. Use this to add an image, video, horizontal line, or more. It’s really quite a lot like the tool Medium uses for embedding media. Tumblr has tweaked things so that whenever you’re viewing a text post, it will look good. It’s a refreshing look. All of these little tweaks imply that Tumblr would like to see more people writing longform content on its platform. If you do decide to write more longform content on Tumblr, it would certainly give you more reason to use third-party tools, such as those that transform Tumblr blogs into books How To Turn Your Tumblr Blog Into A Beautiful Book How To Turn Your Tumblr Blog Into A Beautiful Book The content of your Tumblr shouldn't be confined to an online site, when it can be printed, shared, cherished as a book; to be viewed, and read for generations to come. Read More . Along with all of the site updates, the mobile apps (Android / iOS) have been updated to offer push notifications for “asks” and answers, and swipe functions to like and follow from your notifications. Despite the writing interface being a little more like Medium than it was before, the Tumblr interface is still more cluttered than Medium. 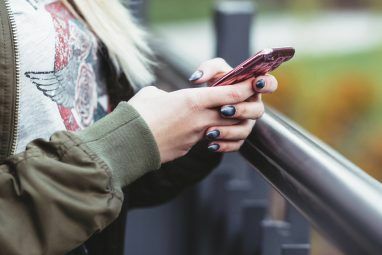 Once the post is written, the whole ecosystem and etiquette of Tumblr The Undiscovered Country: Getting To Grips With Tumblr Etiquette The Undiscovered Country: Getting To Grips With Tumblr Etiquette Etiquette is more than simply being kind and polite. It's about learning the internal, unspoken rules of a community. Here are a few Tumblr guidelines to keep in mind. Read More is a very different experience. Longform content may indeed thrive on Tumblr, but we’re not exactly comparing apples with apples. On Tumblr, a post needs to be tagged well and reposted and liked by users in order to gain attention. Reposting ultimately gains your original post the most attention, especially when picked up by a popular Tumblr blog. The world of Medium is a little different. When you write a post, you can decide whether to submit it to a publication or not. If you choose not to submit it to a publication, your post will originally only be seen by your followers. If your followers recommend the post, their friends may also see it. If you submit it to a publication, all the followers of that publication will potentially see that post as they read, as well as your own followers and the networks of people recommending the post. And finally, if a post is recommended enough it will be featured on the main dashboard of Medium as a “Top Post”, thus taking it viral. The main difference then, is that on Medium it’s all about who you know. If you know the editor of a good publication, you have a big potential audience. If you’ve written a few good posts already and gained some followers (or brought them over from other social networks), you may have a good following on Medium. If you don’t know anyone on Medium, you may as well be talking to yourself. Medium does have “Channels” on the main dashboard, but they still feature content that has already been recommended by a number of people. There is also a search function. A Tumblr following is built on previous content, and is not necessarily the same people who you know on other networks. On Tumblr, people follow individual blogs as well as tracking their favourite tags. This means a well-tagged post has a good chance of being seen by people and propagated virally. Tumblr is already a huge social network, with a large potential audience waiting for your posts. 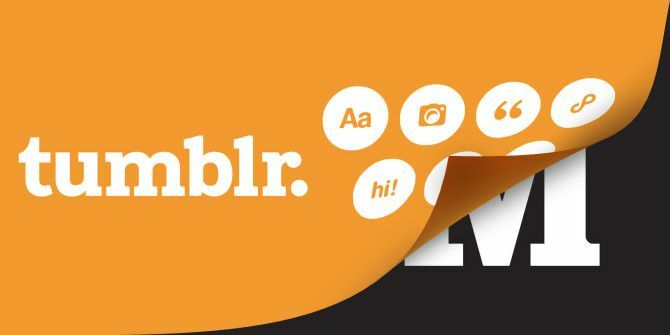 If you’re now thinking of joining, check out our beginner’s guide to Tumblr The Unofficial, Beginner's Guide to Tumblr The Unofficial, Beginner's Guide to Tumblr Tumblr's the number one social networking site for people under 25. Clearly it's important, but it's a bit mystifying. It's less a blog than it is an anti-blog. Read More . These updates sounds great actually, and I prefer Svbtle too Medium. Anyway, with Ghost as the new cool kid in blogger town (they bought up Roon (my favorite of the new comers) the 2015 will perhaps be an interesting year for blog platforms.